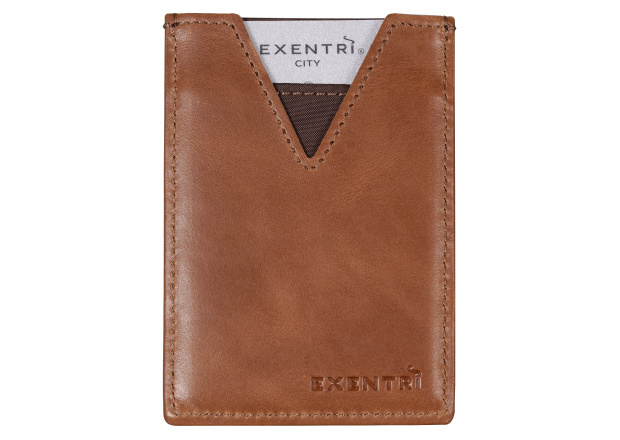 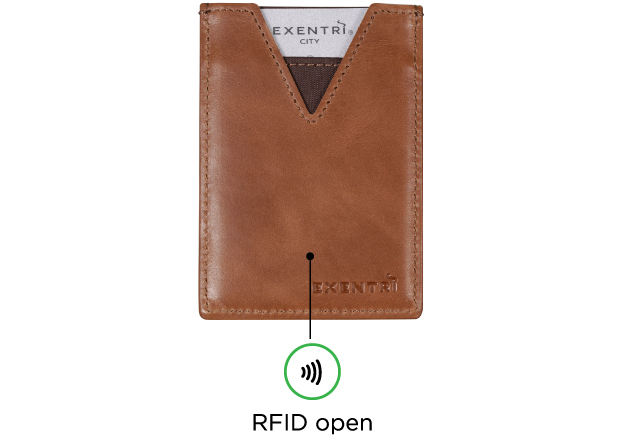 EXENTRI City is a small, slim and practical cardholder designed for three cards. 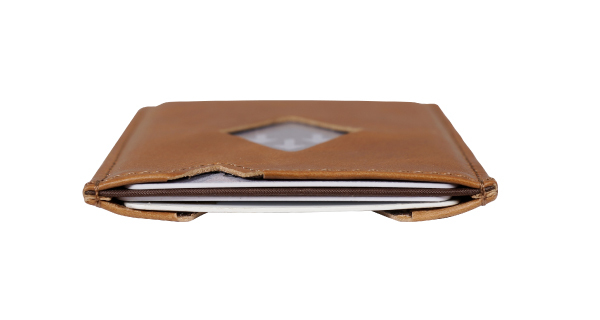 Perfect for all those occasions when you want to carry as little as possible. 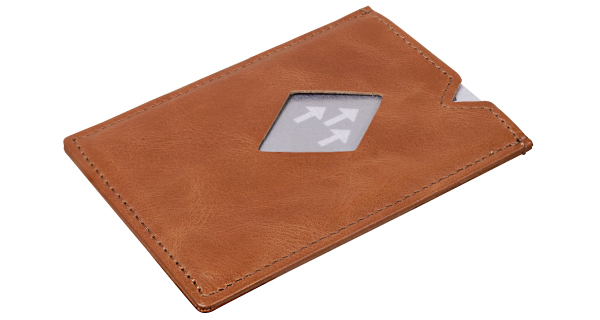 frequently used card by sliding it out with your thumb. 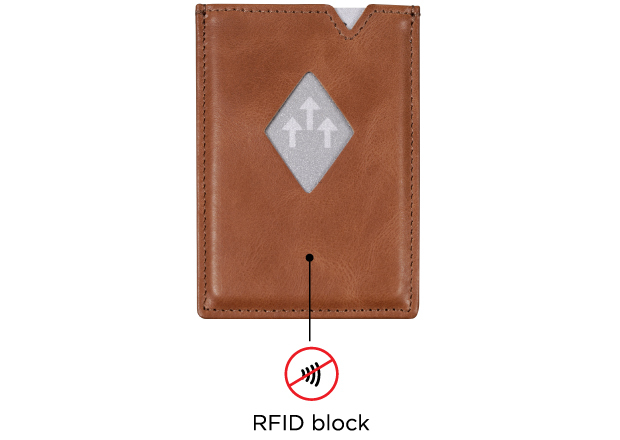 side for reading card against terminal. 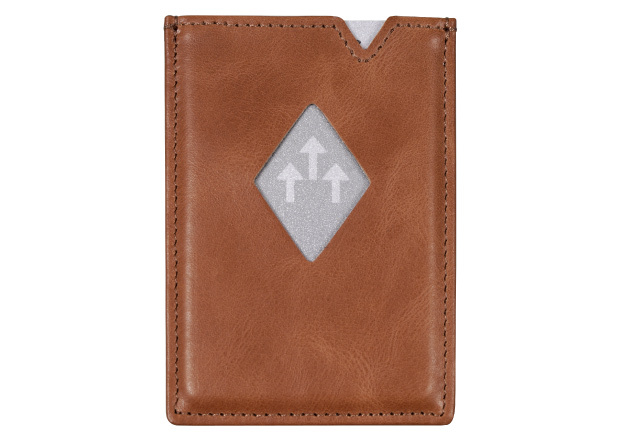 Made of high quality leather and solid stainless steel for stability and endurance.